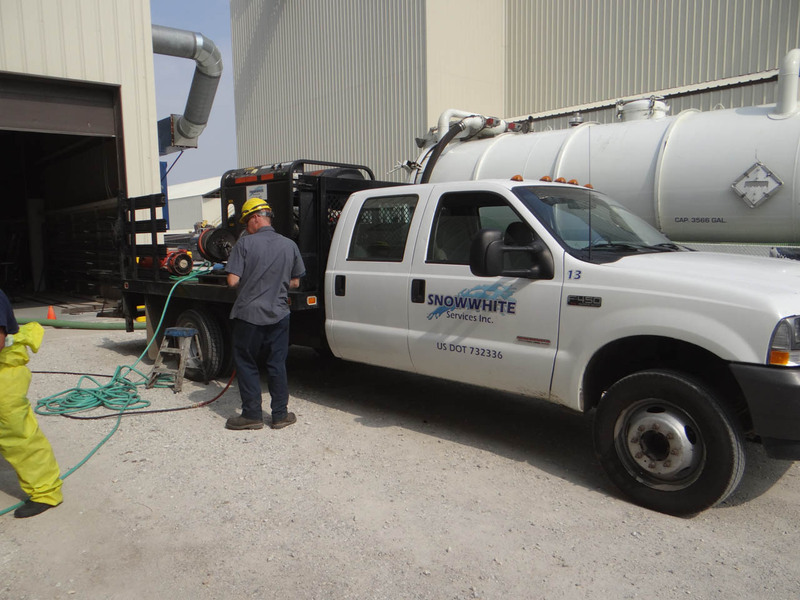 Agriculture Cleaning Services » Snow White Services, Inc.
First-in-first-out efficiency and preventing contamination are essential to successful agriculture. 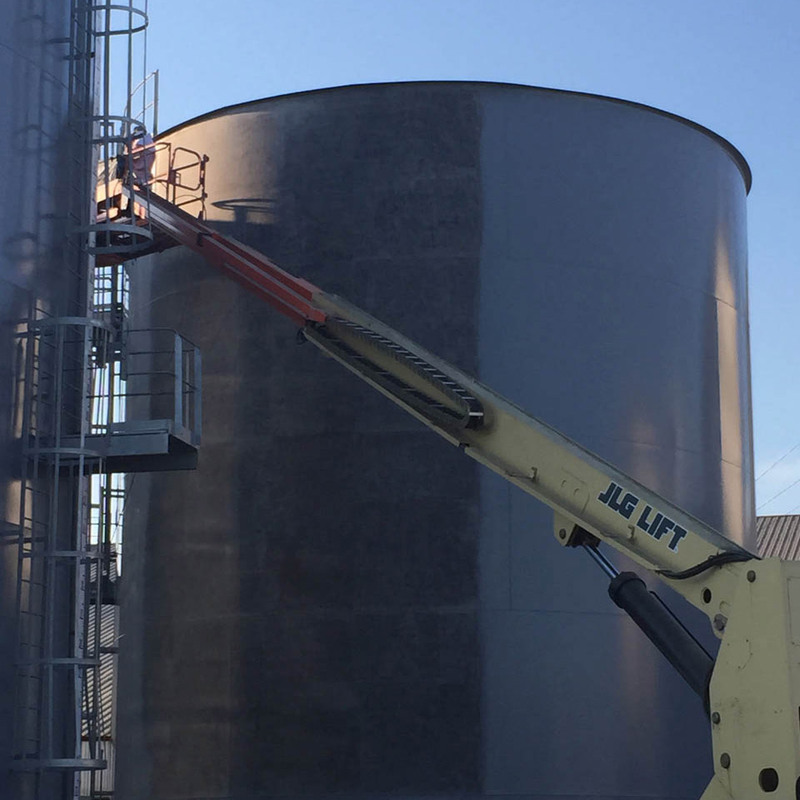 Silos, grain bins, and storage tanks require specialized cleaning to maintain proper flow and product purity. Snow White Services industrial cleaning technology cleans hardened accumulation without damaging your storage equipment. Our methods include dry ice blasting, hydro-blasting, steam blasting (hot water pressure washing), and vacuum trucks. All are safe, environmentally friendly, effective, and efficient. After evaluating your specific needs, we determine the best method for your situation. 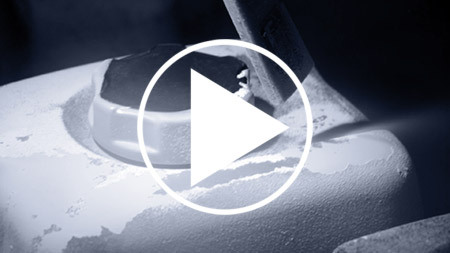 Dry Ice Blasting cleans efficiently without generating a secondary waste stream.Crucial in agriculture, this process is nonconductive, nonflammable, and non-toxic. 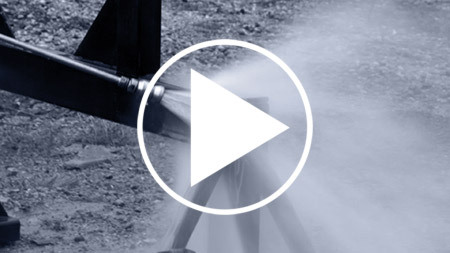 Hydroblasting is industrial-strength pressure washing. 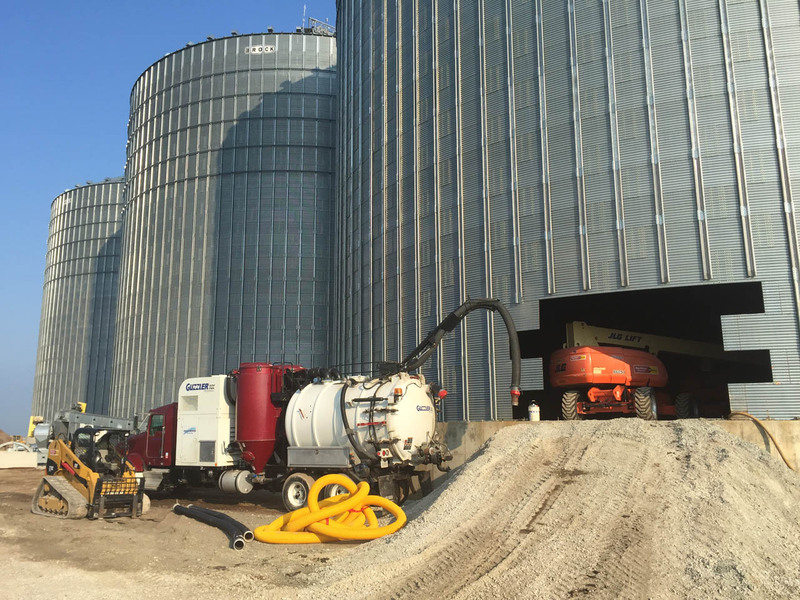 Specialized, high-pressure nozzles safely remove built-up debris from tanks, bins, and other agricultural storage facilities. Known as hot water pressure washing, steam blasting removes oil, grease, and residue from surfaces while protecting the substrate. Wet and dry vacuum trucks remove materials from grease sludge to powders. 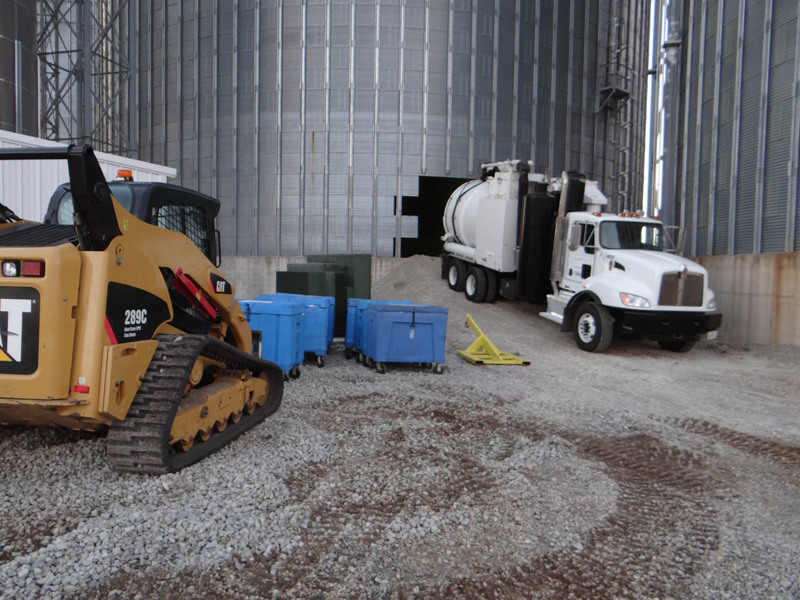 They clean tanks and bins and finish silo cleanings. In agriculture, industrial strength technology is both efficient and effective. 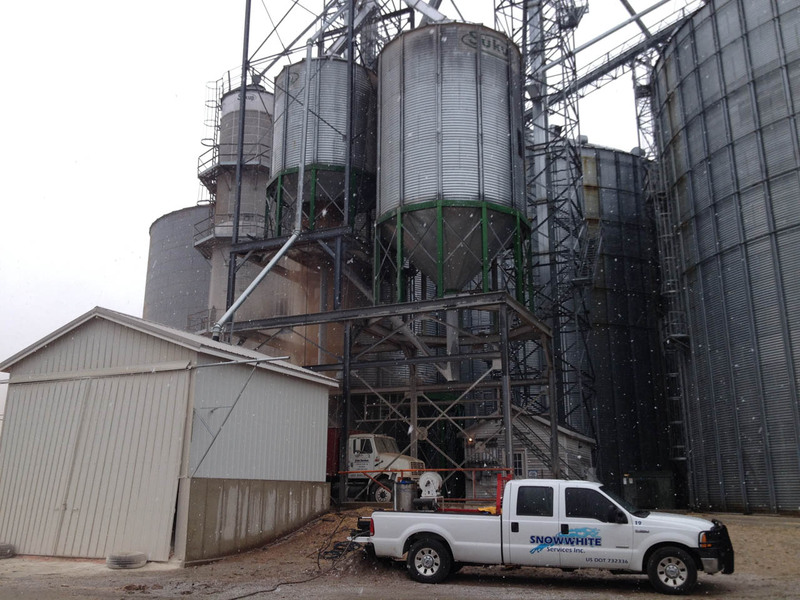 Snow White’s professional technicians handle the dangerous work of cleaning your silos, grain bins, and storage tanks safely. Our environmentally friendly methods protect your equipment and the integrity of your operations. 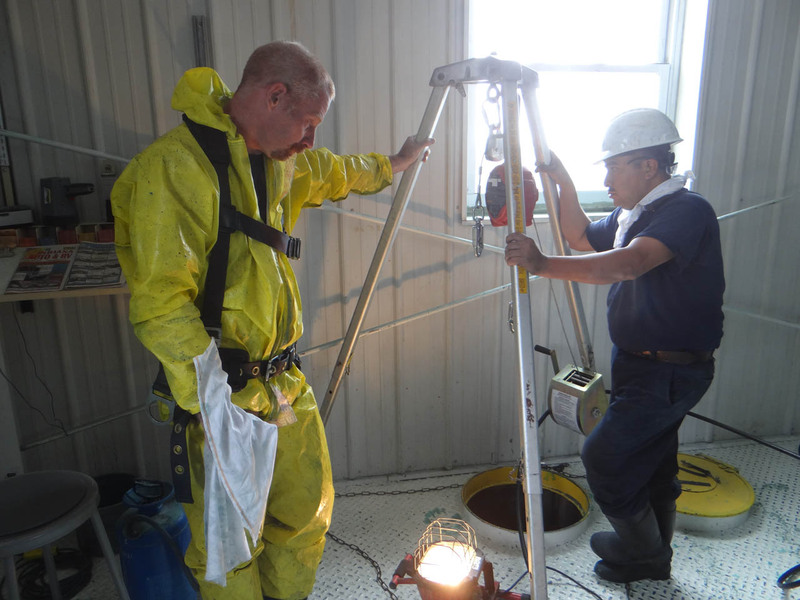 Regular cleanings allow maximum efficiency, productivity, and purity of your materials. Snow White Services has provided specialized coating systems to the agriculture industry for more than 40 years. We engineer systems for extended service life in complex environments. 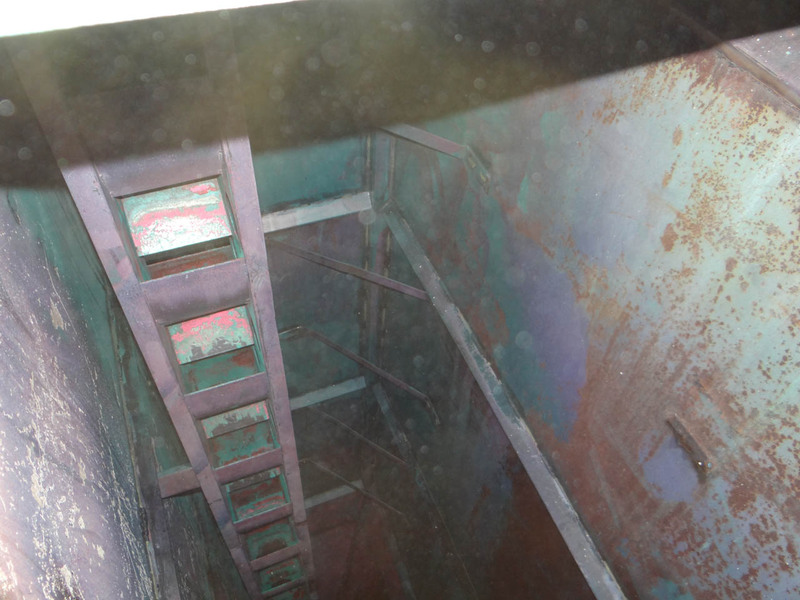 Our Corrosion Engineers can perform corrosion surveys and provide long term solutions over a 15 year period. Abrasive Blasting is not new to Agriculture but many new media’s have made it much more effective, efficient and safer. New OSHA mandates have forced a change in the game for the benefit of everyone. We can now blast right next to other Trades because the air borne particulate (dust) has been minimized to a great extent. Snow White employs all the latest technologies that will maximize effectiveness, enhance safety as well as efficiency. The use of old Media’s like, Sand, Corn Cob and Walnut Shell have all but been replaced with Plastic Pellets, Aluminum Oxide and Garnet lodged in a polyurethane sponge called Sponge-Jet Blasting, this method is also very recyclable and removes 80% of the air borne particulate (dust) making it one of the most effective methods of Abrasive Blasting. Through testing of these new methods Snow White now relies on “Vapor Blasting” more than any other method. This method utilizes water injected into the blast stream effectively removing 92% of the dust from the air at no additional cost and at the same time substantially reduces the amount of abrasive consumed with no loss of production. The Blaster can now view the surface clearly while blasting allowing for higher production rates. 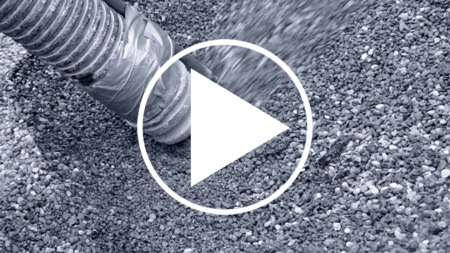 Depending on the choice of Blast Abrasive being used it’s possible to recycle up to 90% of the used abrasive. Each of the items mentioned lowers costs to the consumer and positively impacts the environment. Contact a Snow White Coatings Representative to review your project options today. It takes a large investment to play at this level, Snow White made the investment many times over offering our customers this State-of-the-Art method of surface preparation. It utilizes water at pressures as high as 40,000 PSI to remove existing coatings and surface contaminates. In Agriculture, water is used in many different ways but always accepted as an effective cleaning agent. Snow White utilizes a simple stream of water at high pressure to prepare many different types of surfaces for the application of coating systems. Snow White’s Agricultural customer base is diverse in both location and types like Seed Manufacturers, Soil Oil Manufacturing Plants, Ethanol Plants, Poultry, Beef and Turkey Processing Plants. From Dupont/Pioneer to Remington Seed to Bunge North America. Snow White is the most recognized name when discussing technical coatings applications in the field of Agriculture. Snow White is constantly being called upon to assist many Purdue University Departments with surface preparation methods and in 2019 will be participating in the Coatings Short Course offered by the University. Call a Snow White Coatings Representative for professional Surface Preparation and Painting advice. In many Agricultural environments water is the most accepted type of cleaning agent. Hand-Tool and Power Tool Cleaning methods have been employed as the most universal methods of cleaning concrete and metal in Agriculture for over 150 years. While few advances have been made there is one advance worth noting, the Vacuum Shroud Attachment, it reduces air borne particulate by almost 70%. While this method is most often used to access smaller areas it remains the most widely used tool by Snow White Services when working in the field of Agricultural. Snow White Coating Representatives are thoroughly trained to inspect and analyze coating failures. They inspect the surface, take samples, measure the film thickness all according to ASTM Test Methods. They can rate the level of an existing coatings adhesion to determine if the coating can remain or must be completely removed according to NACE Standards, (National Association of Coating Engineers). Snow White uses an Independent Lab in Michigan for some coating film analysis to assure definitive (legal) results. Snow White offers Coating Inspection Services and Oversight (3rd Party). Our Inspectors can provide a most valuable service to our customers by working with their Subcontractors to provide exactly what has been specified and exactly how it will be installed. Snow White Coating Inspectors carry a Log Book and Inspection Report to document current climate conditions, Film Thicknesses, Surface Preparation Method and even the profile left in a specific substrate to anchor the new coating system. If your involved in a project that absolutely must be done correctly let Snow White help guarantee the expected result. 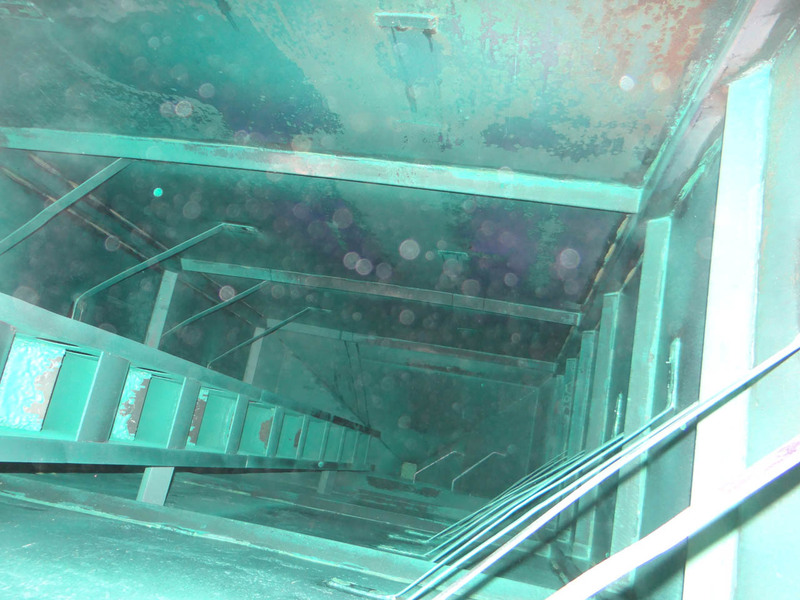 Often times the cost of Inspection or Oversight more than pays for itself in years of service life for the coating system. In situations where the loss of production for down-time to repair a coating failure is out of the question and at an insane cost you can ensure results the first-time by calling a Snow White Coating Representative! When you need to Quote a Painting Project at your facility it will always be In your best interest to involve a Snow White Coatings Representative to guide you through the necessary steps to ensure all the Painting Contractors you invited to look at your project understand what will be required so often it happens that Contractors are “not-on-the-same-page” when bidding a project. Maybe you the Owner or Maintenance Manager are not fully aware of the requirements to accomplish a specific Coatings Task, leave it to Snow White, we can organize, Write a Specification, set a Pre-Bid Meeting and Pre-Qualify the Coatings Contractors allowing you to speak to only qualified Bidders. With the idea that even Architects & Engineers do not have any requirements at the University level that cover Surface Preparation and Coatings it’s not hard to understand why you need someone well trained to assist in the Corrosion Design of your project. New building, old building a Snow White Corrosion Engineer can assist in the design of specific environments to minimize the opportunity for corrosion to occur. A Snow White Coating Representative understands the properties of Metals as well as other substrates and can make recommendations in areas such as Wash-Down Rooms, Clean Rooms or areas where Acids and Caustics will be handled and frequently leak onto concrete and metal surfaces. The combination of experience and knowledge will lead you directly to Snow White Services don’t delay, design with corrosion in mind! 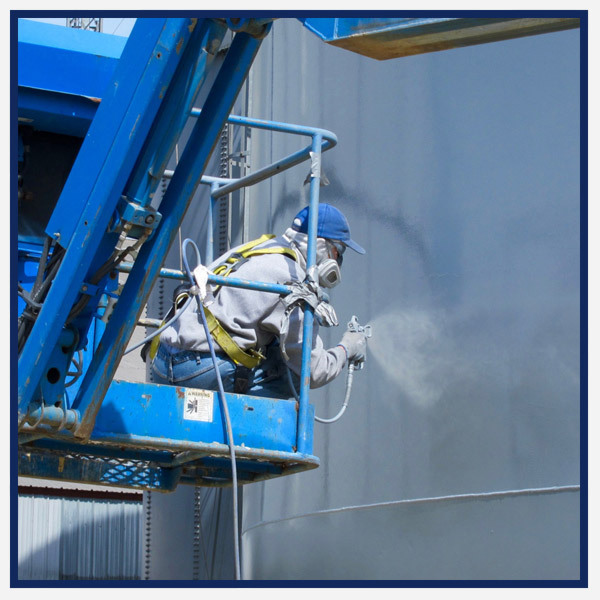 We provide surface preparation, painting, and lining services for all structures and equipment. Successful agriculture is all about timing. We clean your storage facilities with expert efficiency within your selected window of time. By its nature, agriculture requires environmentally-friendly procedures. Snow White services offers a range of safe, effective methods to accomplish your cleaning tasks. Dangers posed by heavy equipment and materials are real. Our professional technicians and technology eliminate storage cleaning hazards for you. DIY cleaning methods waste your valuable time. 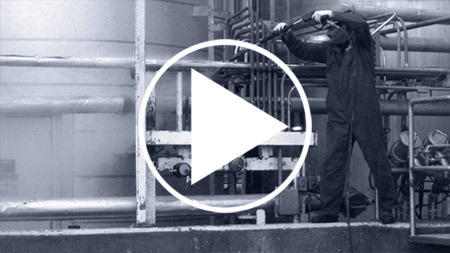 Our industrial cleaning equipment does the job with minimal interruption to your operations. Proper cleaning is crucial to first-in-first-out efficiency as well as avoiding contamination. Our methods are proven to accomplish the task. Protecting your storage facilities is essential to success. Our professional, industrial cleaning technology removes unwanted residues while preserving your investment. Different situations benefit from different solutions. Snow White Services works with you to determine the best procedure for your individual needs.